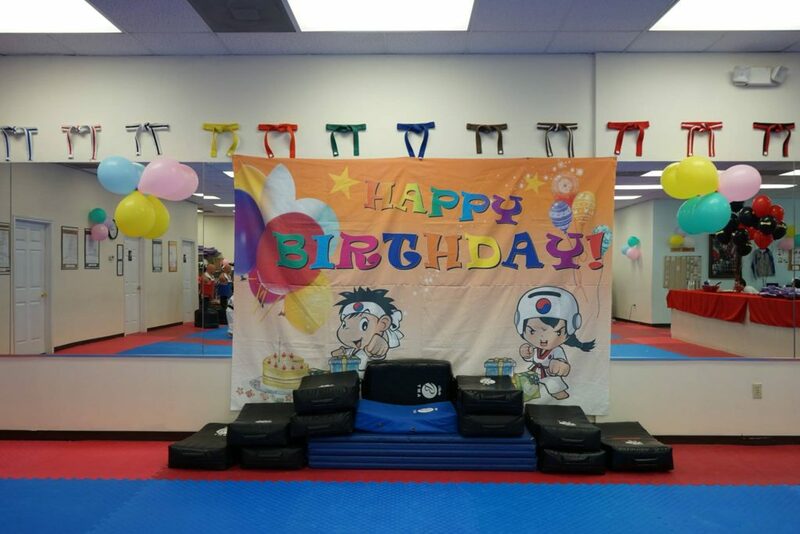 We would love to help you celebrate your child’s birthday and any kind of fun party at K Taekwondo! Our instructors know how to have fun and will make sure that the party runs smoothly. The instructors have a lot of energy and will make this party a great event. Your child will never forget it! 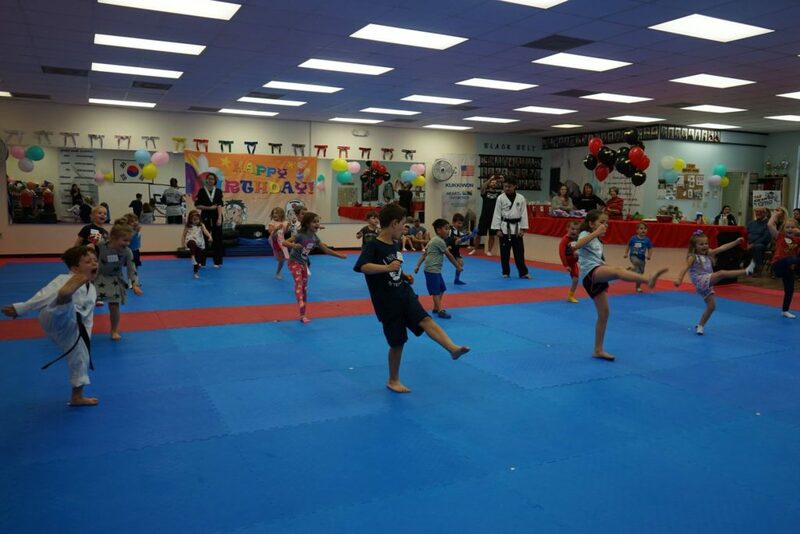 During the first half of the party, the instructors will be teaching your child and their guests a special Taekwondo class, which is exciting, entertaining, and fun. The last half the kids will have food and drinks followed by the birthday boy/girl leading the cake cutting ceremony. This party includes a one and half hour party for up to fifteen (15) kids, instructors, breaking boards for all kids, free Taekwondo class, fun games. The only thing you need to bring is food, beverages, cake, and any specialty items. We have two (2) party time slots available. Parties can be scheduled for Saturday at 11:00 am or for 1:00pm. Reserve Your Child’s Birthday Party Now!